Automation & Security have been providing perimeter security solutions in Newton Aycliffe and around Durham for the last 20 years. 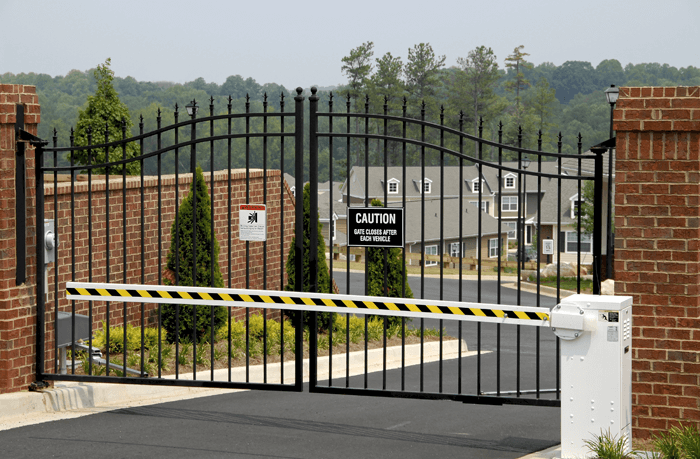 Whether you are after electric gates, commercial barriers or bollards, they can help. Barriers are a great way to handle traffic flow into and out of your premises. They are suited to a wide range of industries from shopping centres, golf clubs or areas where unauthorised parking may be an issue. With added access control you can even give autonomous access to your premises which can be integrated with your current employee database. Bollards act an excellent deterrent when premises are either security sensitive or at risk of ram raid (i.e car dealers). Security bollards from Automation & Security can blend in with the current aesthetics of the property, and are completely unobtrusive whilst they are retracted. With a wide range of designs, colours and finishes available, you can find a product to suit both your budget and your business needs. With flooding an increasingly worry for properties around the UK, their wide range of flood gates will keep your business operational and the water at bay. They provide flood defence barriers, gates and systems to withstand flood water and debris.